Please check out the affiliate links on the Beer and Skittles sidebar thingy. You might need some ABS or something! Yeah, I just got nothing today. All the news is the very, very same. Nothing is any different since Barry Obama took control. There is NO GOOD NEWS AT ALL. I am at an utter loss as to how to keep posting about the failures coming out of DC. There has been very little to cheer about lately, other than the Supremes shooting down Chicago's "Kill the Darkies" gun control legislation. Hopefully, since the Supremes actually bucked up and read the Second Amendment, they shall read the others while they are at it and strike down 100% of the idiotic stuff coming from the Democrat Congress. More than half of working adults affected by Barry Obama's stupid programs. NEGATIVELY. Barry Obama, our first FEMALE president. Yes, he is a henpecked sissy. TRANSPARENCY! How do you tell if a Democrat is lying? He's a Democrat! Hmmm, Obama certainly is not very honest, huh? He simply must be a Democrat! Elena Kagan is not a doctor, but she plays one....OMG! Playing doctor, Elena Kagan...BRB!!! Since starting the coding thingy with my business site and learning exactly how much I do not know, I have been reading, doing, studying, and compiling. I started a little blog project last night where I am going to walk my way through this tech thingy and develop a Wordpress blog from scratch. Having never worked with any blogging platform other than the MOSTEST AWESOMEIST PLATFORM, BLOGGER!, there shall be a huge learning curve. If'n you want to join and watch the trainwreck in slow motion, e-mail me because I am not going to publish it in the open. That would be just too damned embarrassing because I know a bunch of folks that are good at that kinda thingy and they shall make fun of me. Remember, I am terribly thin-skinned, just like President Moobstatue McMoleface. Google Docs on MO-BILE browsers. Yeppers, I am getting to the point where a chair and desk are things of the past. Teh Google Image-Swirl. This is too cool. It is like the Rabbit Hole for Image Search. Two building blocks of successful blogging. Oh, and if you want to check out your site in different browsers without calling everyone you now, try Browsershots. I am outta here. Share this post with everyone you know, I want a bunch of good people watching the site build Obama(1). (1) Of course to call something an "Obama," it must a severe, total, complete failure. Yes, I am planning to fail, because I have failed to plan. Sweet! Thanks for the browser shots link. And btw, that gun legislation barely passed at 5 - 4. What the hell is wrong with the Supreme Court? i cant believe some people. if you dont laugh then you will cry i guess. yuou have dug up some gold dust points here. Red, the justices "evolve" as they get older, so I can only imagine what Sotomayor and Kagan will be like in thirty years. Thanks Daniel. And nice Man Toy site. Dude, I need everything that you are selling. That's funny right there. Wife even thought so. You're her new hero. Paul, lotsa good stuff here. Re Obama being the first female Prez. I'm not sure he's male or female. Maybe he's a sissy pants. And we've had a sissy pants Prez before; that would be Carter. Thanks also for the blog links. I do need all the help I can get. I was planning a post on cornbread. Is that planning to fail? Is it an Obama? 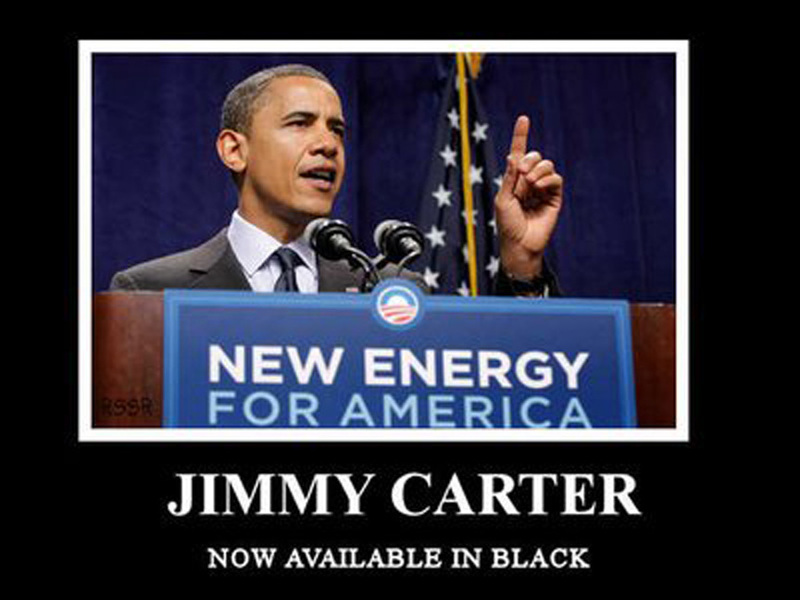 "Available in black"....ROFLMAO. Yeah, I'm easily amused. 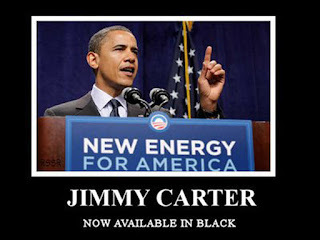 Only thing left to be about this worst president EVAH is amused, to offset the pain of the crap he's doing.